I went ahead and decided to give this record a spin, just because there was a lot of blog chatter about it. For some stupid reason, I had categorized School of Seven Bells in a pretty small box of “bands whose name has ‘bells’ in it.” Not having been as enamored with Sleigh Bells Treats, I had some subconscious barrier between myself and SVIIB. Once I was past that, I found a lot to love. I’ve heard the genre labeled “nu-gaze”, which I can only guess is a splicing of new wave synth/beats and… whatever the hell shoegaze brings to the party. Whatever you feel like calling it thought, it’s fantastic. The music itself is based in a very ethereal, tonal foundation, which effortlessly can pick up a nearly dance-inducing drive (as in ‘Lafaye‘) or lull you in and out of consciousness (as in the excellent supporting track, ‘Reappear’). The texture of this track, intricate without becoming cluttered, makes it especially good. It introduces the protagonist of the album, Lafaye, who interacts throughout the record with “the ghosts that surround her life,” providing an interesting framework upon which a lot of really go music is structured. 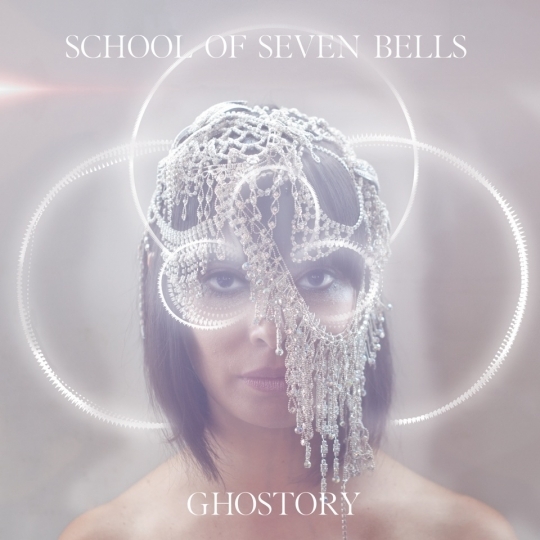 Also worth noting about Ghostory is that the duo of Deheza and Curtis are not afraid to let their songs really evolve. The first single, and an excellent track at that, ‘The Night’, opens the album at just under 4 minutes long. Every other song is longer than this, including my dark-horse candidate for favorite track ‘Low Times“. The chorus, “Low, low, low, low, low, low, low, low, low, low, low- times”descends first in pitch for the first few ‘lows’, which is kindof intuitive, but midway through, the pitch starts to come back up. Saying ‘low’ while you go higher seemed a crafty and subtle move to me. Not to mention the song just has a lot of restrained energy to it that explodes at the end with the transition to the “p-r-e-d-a-t-o-r” part of the the song. The latter half of the record is quite solid, with the other standout tracks being the accusatory, confrontationally epic ‘Scavenger’, and the tour-de-force of ‘White Wind’. Easily this record is one of the best things I’ve heard this year, and I expect I won’t get tired of it any time soon. I’m pleasantly surprised with how approachable I feel the record is, given both its ambition and its deviation from typical formulae of other work in adjacent genres.